Anonymous sources have said that the third entry in the Arkham series will introduce new multiplayer modes. Batman: Arkham Asylum and Batman: Arkham City are arguably the definitive Batman games, elevating the character to heights never before reached in the realm of gaming. The Arkham games have also been renowned as some of the best single player titles in years, creating experiences that were accessible, deep, and immersive. Now, if rumors can be believed, the next game in the franchise, Batman: Arkham Origins, will be introducing multiplayer to the previously solo-centric series. Speaking to Kotaku, an anonymous source indicated the new game would be adding multiplayer components. Though offering scant details on what and how many modes would be added, they described one scenario putting players in the role of famous villains trying to bring down Batman and Robin. The baddies involved could apparently include the likes Killer Croc, Deadshot, Firefly, Black Mask, Deathstroke and "some kind of Electroman character," said the source. Though Kotaku has expressed trust in its sources, Warner Bros. Games Montreal, the studio behind Arkham Origins, declined to comment when contacted, leaving the information unconfirmed. 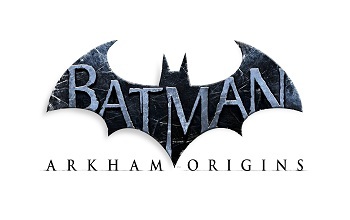 Some were disappointed to learn that Arkham Origins wasn't being developed by Rocksteady, the studio behind the first two Arkham titles. The addition of multiplayer, in turn, is likely to be taken by detractors as a poor sign of things to come. That said, it might be best for gamers to avoid knee jerk reactions. There are examples, for certain, of single player games that had pointless multiplayer modes forced on them, but there's no reason that Arkham Origins' multiplayer can't be a fun and valuable experience. Considering the size of Batman's retinue and rogue's gallery, it's not hard to envision a few fun ways a solid multiplayer mode could take shape.